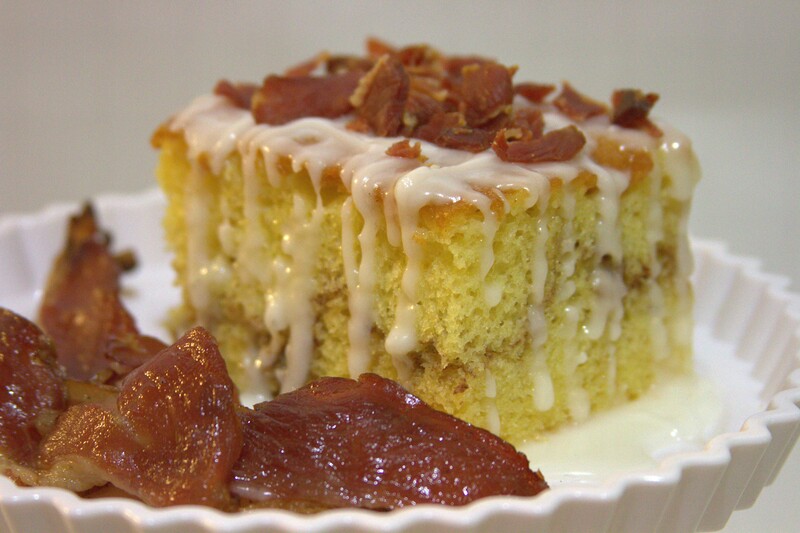 Honey Bun Bacon Cake, with the hickory smoke flavor of turkey bacon and a hint of maple syrup. This cake taste like pancakes and bacon and will go well with a steamy cup of hot coffee. Perfect for Sunday brunch.